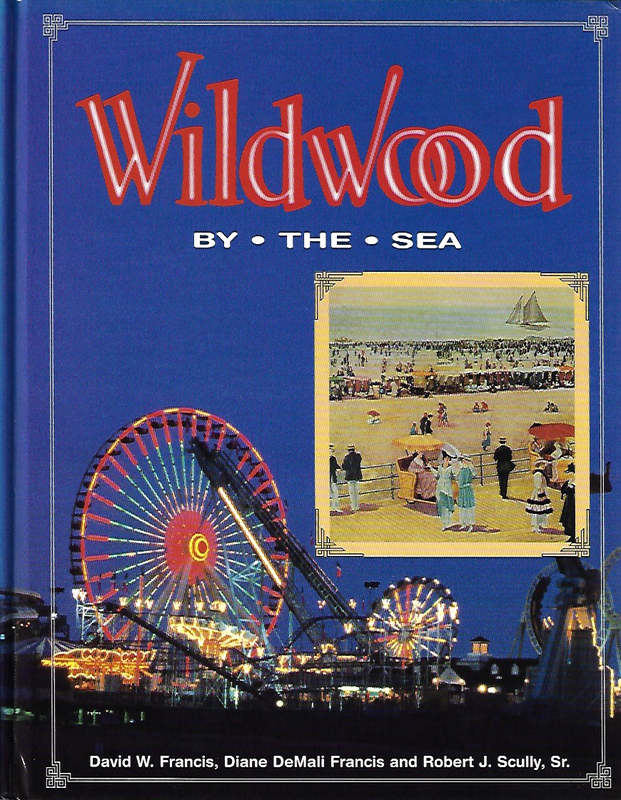 Wildwood by the Sea by David W Francis, Diane DeMali Francis and Robert J Scully, Sr.
by David W Francis, Diane DeMali Francis and Robert J Scully, Sr. This is the story of the sun, sand, surf and the Wildwoods of the South Jersey Shore that is one of the most popular resort areas in America. Stretching along the barrier islands north of Cape May is the Wildwood Boardwalk, a boulevard of fun. With careful research, well-chosen words, and generous illustrations, WILDWOOD BY THE SEA takes the reader back to the resort's 19th century beginnings, its flourishing in the teens, through its struggles with Prohibition & the Great Depression to the effects of the war years, the fabulous fifties & turbulent 60s, and its renaissance of the 80s & 90s. The Wildwoods story is of amusement piers, restaurants, hotels, motels, entertainment and one of the most beautiful beaches anywhere. Come, stroll the Boardwalk & the legacy of WILDWOOD BY THE SEA. 450 illus (32 full colour) & index.